With frost advisories at the start of this year already keeping many tri-county growers on their toes, the agricultural community across the region is hoping for a rainier, greener year. Beginning in late December and continuing into the New Year, frost advisories and hard freeze warnings were issued across the Tri-Counties. The National Weather Service has warned that hard freeze warnings can kill crops and harm vegetation, and in Ventura County growers were already deploying micro-sprinklers and burn barrels to preserve crops including berries, citrus and avocados, particularly in the Santa Paula and Fillmore area. For citrus growers, the freezing temperatures could have meant devastation of a scale last seen in December 2013, when $441 million in citrus fruit was frost damaged and wiped out. But experts say that growers across the state managed to keep citrus protected. While the exact level of damage has yet to be estimated, the hard freeze warnings are the first obstacle for tri-county growers in a year that could be a comeback for the industry, after the emergency drought of 2014 left behind a growing number of barren fields and slashes in production. Many say that higher rainfall numbers in the early months of this year could mean a major break for the industry. “It’s a difficult year to predict,” said Mary Bianchi, a horticulture farm advisor and county director for the UC Cooperative Extension in San Luis Obispo. Bianchi and others say that the next three to four months of rainfall will likely determine overall production levels. Once the harvesting season launches in April, she said, farmers will decide whether they have enough water to increase or decrease their harvesting output for the following season. “The total amount of rainfall until the end of April will have a huge impact on the decisions that growers make,” she said. But the expectations for rainfall during these new few months are mixed, as many in the industry say heavier showers toward the end of last year may not be an indication of later rain to come. Along with the uncertainty of future rainfall, another water issue growers are dealing with is the potential impact of the new statewide groundwater legislation. For now, though, some areas of tri-county agriculture have already taken a solid, devastating hit from the drought. Ranching in Ventura County and San Luis Obispo County, where it is still a top crop and pulled in $96.39 million in 2013, has taken a major blow as many ranchers have been forced to sell off herds for at least the past year and a half. In fact rangelands throughout the county currently have just 5 percent of the forage they normally hold, San Luis Obispo County Agricultural Commissioner Martin Settevendemie told the Business Times last October. At the time, he estimated that up to 75 percent of all cattle in the county had been sold as a result of the drought. But even with dwindling pastures and cattle numbers, beef prices remain strong. The trend, according to Krist, is just one example of how many tri-county crops, particularly in Ventura, have brought in considerable revenue despite falling production levels. 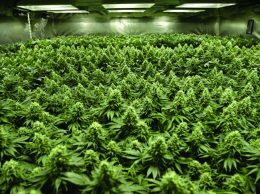 “The trend is that if growers have the product to sell, they’re going to be looking at very good, competitive prices,” he said. Although crop reports for 2014 will not be completed until later this year, agricultural experts have said the drought brought losses to many crops, including strawberries, which are a Top 10 highest-grossing multimillion-dollar crop in all three counties. Most popular in Ventura County, where it has been the No. 1 crop for more than a decade, strawberries brought in $608.76 million in 2013, down from $691. 3 million in 2012 as a result of a freeze that ruined crops, according to county crop reports. But this year, Oxnard alone has lost 1,000 acres of strawberry crops, according to the California Strawberry Commission. In November, Ventura County Agricultural Commissioner Henry Gonzales told the Business Times that some growers have looked to less costly and water-intensive crops like lima beans to make up for lost berry production, but according to Bianchi, the crop is on a bit of a rise along the South Coast. 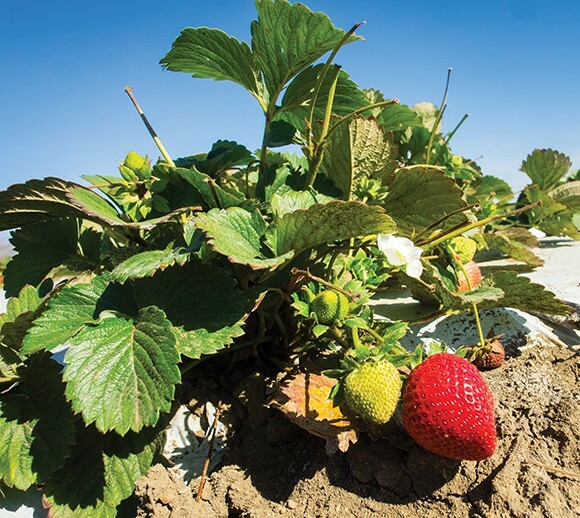 “There has been additional interest in growing more strawberries,” she said while noting that this trend is stronger in Santa Barbara than in San Luis Obispo County. According to Krist, Ventura County growers have actually seen a rise in demand for cane berries such as raspberries and blueberries, rather than strawberries. Krist said that one obstacle for citrus growers is the threat of the citrus pysliid, an insect that has wiped out crops and created larger production costs for growers primarily in the Santa Paula/ East Ventura area where it is most widespread. Growers with a total of 7,500 acres of citrus crop are now being required to chemically treat their fields, as of Jan. 1. “We do see increasing numbers of detections in an increasing number of plains,” he said. The appearance of another harmful pest could also threaten production, Krist said. The Polyphagous shot hole borer, a new insect that has only appeared as close as Los Angeles, feeds on a wide variety of plants and crops and is transferred relatively quickly, making it a grave threat to tri-county growers of all kinds.